T.E.S.S. supply a wide range of catering equipment for hire, ideal for temporary & location kitchens, which include a delivery, installation, testing, & collection service. Sinks – A variety of sizes & styles available means we can supply a sink to fit even the smallest of spaces. Single Domestic sinks – standard sized domestic single bowl sink and single drainer. 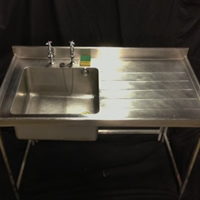 Single Catering sinks – Large single bowl sinks with single drainer. 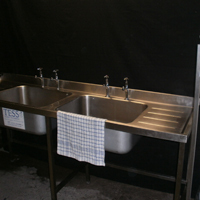 Double Catering Sink – Large double bowl sinks, with either single or double drainers. 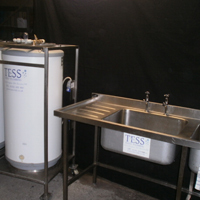 Water Heaters – Our Kiwa registered, 125 Litre capacity, electric water heaters provide a constant supply of hot water to your location kitchen, and can be plumbed directly to any of our sinks. 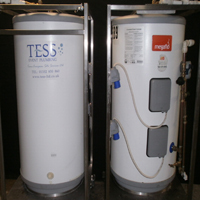 The combination of their lightweight and very strong construction makes our water heaters easier to handle on site. Every unit is pressure tested in the factory to 15 bar – five times the normal operating pressure. 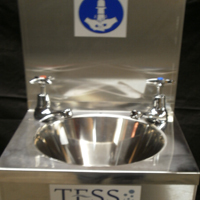 Hand Wash Units – All kitchens require a separate hand wash facility. 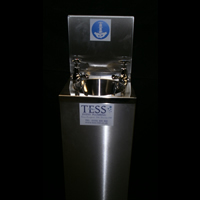 Our Hand Wash Units are slim line, so can easily fit into the smallest prep area. Made from Stainless steel, they do not absorb dirt. Stainless steel is non-porous and therefore will not harbour bacteria. This makes it the natural choice for our hand wash units. 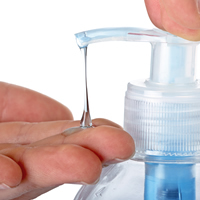 Hand Sanitizers – Our hand sanitizers are great if you have no water supply available, but still require a hygiene station. Supplied with alcohol gel refills, they kill 99.9% of bacteria and some viruses on hands 30 seconds after application.